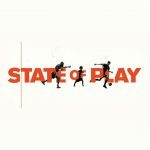 A cutting-edge documentary series from filmmaker Peter Berg that explores vital themes in society and culture through the unifying lens of sports. 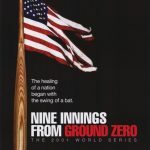 Short, well-made documentary showing how the NY Yankees vs. AZ Diamondbacks world series games, just a month after 9-11, provided welcome relief from the uncertainty New Yorkers, and the nation, felt about how to proceed with their lives. The Yankees, during the series, came to symbolize and re-strengthen everything that was, and is, New York… and America. 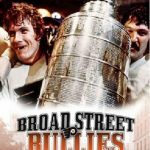 The HBO Sports documentary Broad Street Bullies, a look at one of pro sport’s most polarizing teams, the legendary Philadelphia Flyers Stanley Cup championship squads of the 1970s. This exclusive presentation tells the backstories of these engaging and colorful athletes, who won back-to-back Stanley Cups in 1974 and 1975 with a bold, aggressive style that sparked controversy and criticism.